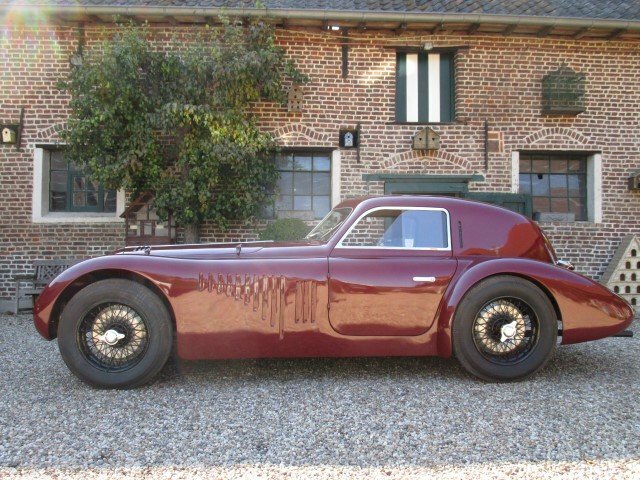 This piece of art has come from an extended collection in Belgium, it comes with a great racing heritage and complete history. The 2443 cc engine was mounted to a steel ladder frame chassis, which was offered with three wheelbase lengths. Various coachbuilders made their own versions of the 2500, but most of the bodyworks was made by Touring of Milan. 915.503 was delivered new in September 1942 to its new owner in Italy, a Mr Cantalupi. 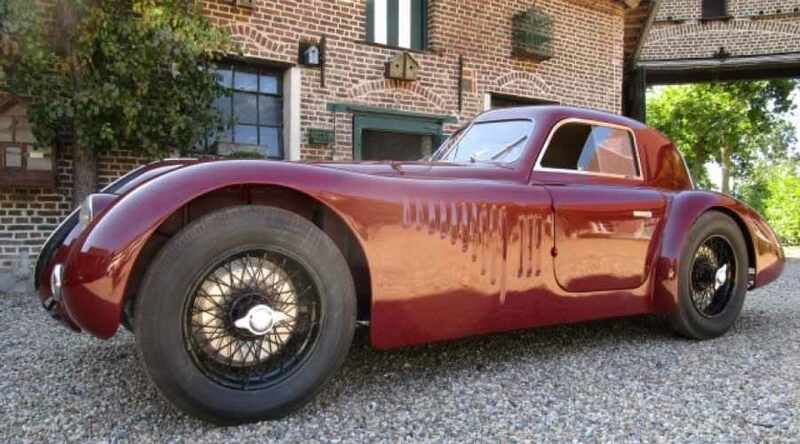 It was only one of a handful of cars produced during 1942 to 1945 due to the obvious production constraints and differing priorities of wartime Italy. Production of the 2500 SS broke into full flow again from 1947 onwards, making this car one of the few. 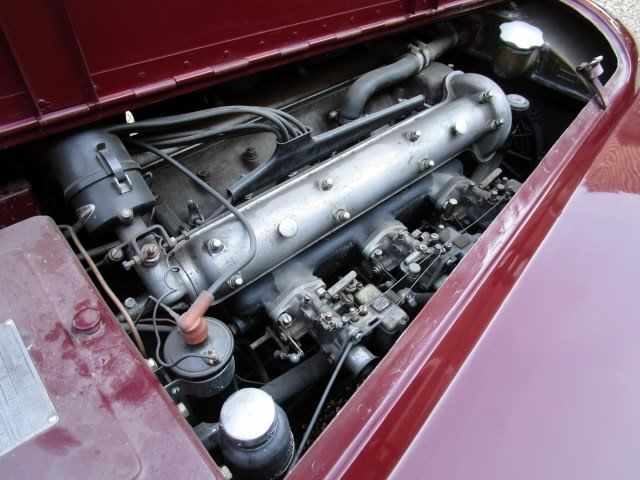 Production records indicate that 915.503 was in fact car no 3 of the Tipo Supersport 6C 2500 models. 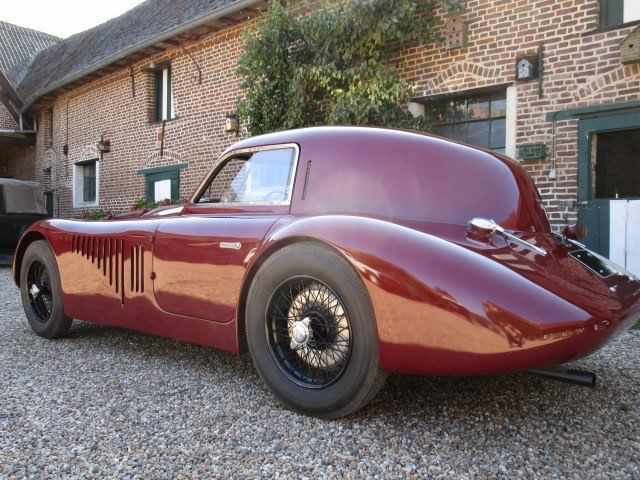 Surviving the Second World War, the current owner has confirmed that the current touring style Le Mans Berninetta coachwork was fitted during the early post-war years, and is inspired by the beautiful 1938 Le Mans touring Berninetta, which competed in the 24hr classic before the outbreak of the war. File images of that motor car are included here for reference. 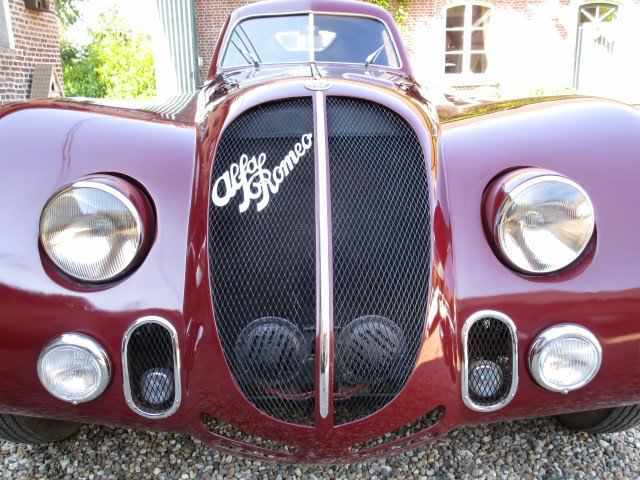 Presented in Burgundy with a 2442 cc triple carburettor engine, this is a truly stunning and evocative Alfa Romeo, with its louvered bonnet with leather straps and louvered side panels, it certainly is an eye catcher! 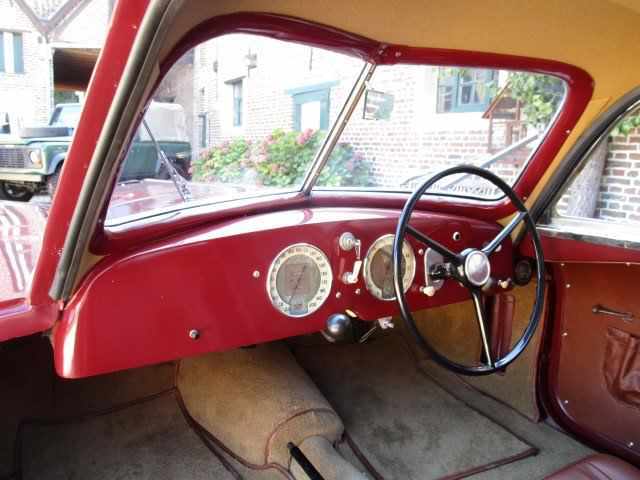 The interior is simple but entirely functional with brown leather seats and split screen windscreen. This wonderful and striking Alfa Romeo won Best in Show at the 2015 SPA Italia. A true exotic car from the era of thoroughbred sports cars and one which would grace any collection. This Alfa Romeo has to be seen as the condition is outstanding, any Inspection Invited., Please call or email to arrange an appointment to view this car.